We’ve heard a lot in recent months about New York-based startup GroupMe, which has raised millions and was reportedly almost acquired by Twitter. We hear that Facebook just bought Beluga for millions. In addition to GroupedIn, we hear about Fast Society, about Kik, about Brightkite, about TextPlus, about Mogwee. Shall I go on? The space is far too cluttered, and without a clear market leader. Unlike check-in services, a space arguably just as crowded (Foursquare, Gowalla, Latitude, Facebook Places–breathe, breathe–Whrrl, Yelp, Scvngr, Loopt), group-texting services don’t have established players, nor much by way of differentiation. Yes, the space is young, but far too over-saturated with carbon-copy value propositions. 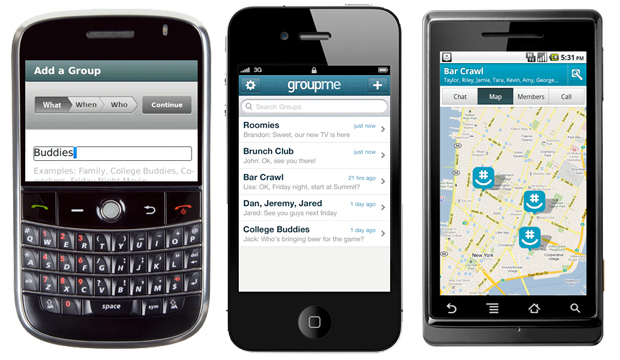 Only GroupMe, boasting SMS support, Foursquare integration, and a few other bells and whistles, stands out, in my opinion. But overall the field feels too feature-light, the exact opposite issue currently facing feature-laden location services, with their badges and rewards and virtual passports and check-ins and brand partnerships. Are group-messaging services worth all the buzz? Or are they just a one-pitch wonder, a feature (or fad) ready to be garbled up by larger social networks like Facebook, Twitter, and Foursquare? Time–and texts–will tell.